I warned you this was happening. From Citizen News April 3, 2015. “From the US Labor Dept. BLS April 3, 2015. “From Pew Research March 26, 2015. From Citizen News April 2, 2015. “We have a employment crisis in this country. “Some of the more blatant lies (yes Gallup CEO Jim Clifton was correct to call them lies), relate to the unemployment rate and it’s improvement and job growth. This entry was posted in Barack Obama, Citizen News, Citizens for the truth about Obama, CitizenWells, Economy, Employment, illegal aliens, Illegal immigrants, Immigrants, Jobs, Labor Department, Lies, Obama, Obama administration, Obama lies, Obama Nation, Obama records, The Case Against Barack Obama, Unemployment. Bookmark the permalink. 80,000 more blacks, 110,000 Asians not in labor force. “The largest gay group in one Western state is demanding that Churches who follow the Bible be shut down by the government. “It is sad there are so many cowards in the american business community such as Apple, Walmart and the NCAA. “Once a Fortune 50 chief executive herself, Carly Fiorina is disgusted with how CEOs rushed to condemn Indiana’s new religious freedom law. Fiorina, who is weighing a bid for the 2016 Republican presidential nomination, called the week’s controversy over the Indiana statute the result of corporations bowing to “narrow special interests” rather than broad public anger. CEOs like Apple Inc.’s AAPL, -0.01% Tim Cook, who publicly objected to the Indiana law, have engaged in “a level of hypocrisy here that really is unfortunate,” said Fiorina, who was CEO of Hewlett-Packard HPQ, +0.35% from 1999 to 2005. This is the prime example of what happens when you take God out of our schools and our children have been brainwashed by colleges that as we have been finding out are allowing the teachings of the Muslims to our children. Why is it ok to take away someone else’s rights over another just because you believe in god or because you just have a different point of view? I agree with citizenwells, Apple CEO speaking out on this subject is hypocritical since his company does business with country’s that kill gays. Then Angie’s List, I can only think that the reason they stepped up and said anything was to generate attention to their failing business which was about to file bankruptcy. “During the past 12 months, ANGI stock has plunged a grueling 64%. So the Indiana law protest was just an excuse to not build, when in fact they are struggling. Something in this post struck a nerve with the obots, and sucked them out into the open, what ever it was, we need more of it. Thank you Citizen Wells. I went back and read the comments from Dr Conspiracy, and his fellow obots, that descended on you with their “collaborating” stories about the legitimacy of the usurpers phony birth certificate. You did a heroic job at refuting their BS, and defending your honor as a credible news source. I learned years ago that the obots will never admit they are wrong about anything, they will lie through their teeth, and make up total falsehoods, and then have two or three other posters spout the same lie to make it appear that their crap is golden. I’m glad you saw through their BS and shut them down. The Affordable Care Act, aka Obamacare, is a socialist scheme that does nothing more than funnel money away from the successful and into the hands of the not-so-successful. It inflates the costs of health care, drives providers out of business and reduces the incentive for hard work — because why should one work hard when he or she can get healthcare (or plumbing) for absolutely free? Socialism basically does to the country the same thing it did to it in Ayn Rand’s classic novel, “Atlas Shrugged” — it turns it upside down. It also does nothing to fix the real problem, much like the “Affordable Plumbing Act” did nothing whatsoever to help poor Barry with that awful leak in the bathroom! 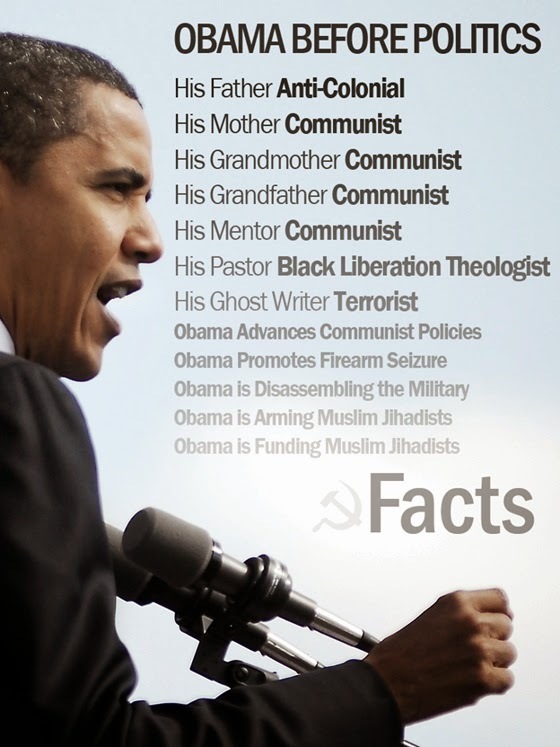 What a dismal record for POTUS…. But I’m sure he is proud of it ! I was disgusted to see Dr. Con (Kevin Davidson) contaminating this site as he and his warped minions do over at the Birther Report. He gets smacked around over there, so he’s trying his delusional thinking here. Although we still have free speech for a little while longer, that type of propaganda has no place on any conservative blog. It’s too bad; he’s a bright guy and very articulate however, there is one mental block that can’t be overcome: Progressivism. It sounds like you’ve run into Dr Con before, the name does sound familiar to me. There used to be a site called The Right Side of Life, back in 2008 and 2009, the obots moved in, dominated the comments and the arguments with their lies, and the owner of the blog gave up on the eligibility issue because of it. When Dr Con moved in on CW, my red flag went up out of instinct. I learned from dealing with obots, you can’t win an argument with a dishonest liar, and they seem to show up as a team. Dr. con visits from time to time. I allow some of his comments to reveal the efforts of the Obama camp.